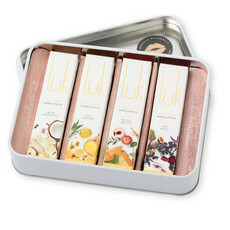 Luk Beautifood is a delicious range of Australian made, cruelty free natural sheer lipsticks based on nourishing food grade ingredients. 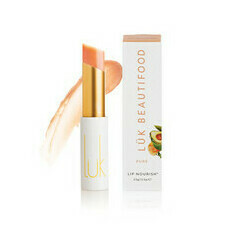 The Luk Beautifood ideal is that all lip products should be carefully crafted using ingredients that are as healthy and nutritious as what we eat, ensuring ultimate glowing health and vitality. 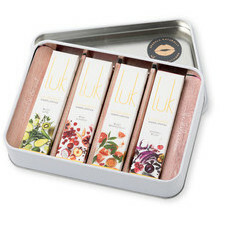 Luk Lip Nourish lipsticks are formulated with hydrating base ingredients such as avocado, sesame and castor seed oils, and incorporate active foods containing anti-ageing antioxidants, vitamins, essential fatty acids, skin-loving nutrients and anti-inflammatory properties. They do not contain any synthetic colours or fragrance, instead gaining their delicious flavours from natural citrus, herb and spice oils and beautiful pigments from natural minerals. 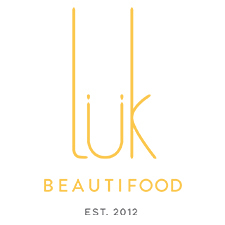 Luk Beautifood products are all-natural and not tested on animals. 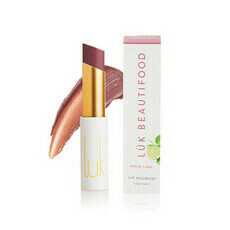 Nourished Life loves the Luk Beautifood Lip Nourish in Chai Shimmer for a subtle, glowing lip balm. 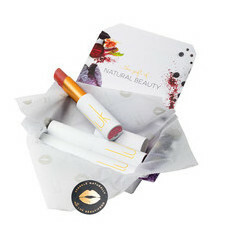 This brand has advised us that they are currently reformulating all their lipsticks to be palm oil free. The ones which already formulated are tagged in the store and this will be kept up to date as each new shade is changed.